Let’s face it, when you buy a new car, you deal with experienced sales professionals who use a variety of time-tested methods to sell you add-on products and services. With profit margins on new car sales tighter than ever, these adept pitchmen have plenty of incentive to sell us whatever car dealer options they can. Although some of those dealer options, upgrades and extras can be worth the investment by making life with your new car more enjoyable and adding value to it at trade-in time, the following five dealer options and upgrades are best avoided. Trying to get an auto loan? Get the Bankrate auto app to compare prices and do loan calculations. Although new cars no longer need it and some automakers will void the factory corrosion-perforation warranty if the car is undercoated by a third-party, this hasn’t stopped some dealerships from promoting undercoating as a dealer option, says Mike Quincy, auto content specialist at the Consumer Reports Auto Test Center in East Haddam, Conn.
“Cars leaving the factories today all have excellent rust-proofing,” Quincy says. “(Dealers) have an incentive to do it because there’s a fair amount of markup they can get on these services,” he says. 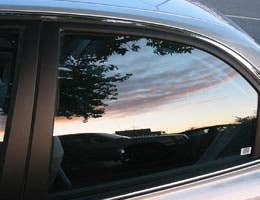 Dealer-applied undercoating can range from $200 to $1,200, depending on the car, the type of treatment package (basic or premium), and whether it includes an extra option, such as sound-deadening. 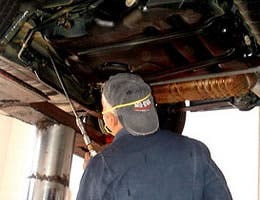 Moreover, rust-proofing can be sold to the new car buyer as a separate dealer option or be included in a pricey bundle called an “environmental protection package” that also can include paint sealant and fabric protection. This dealer option is often promoted by showroom salespeople as a product used in the aerospace industry that offers a new car “a superior, year-round, no-wax shine that provides a long-lasting barrier against the environment.” Protective paint sealant can cost the new car buyer well over $200. However, most automotive paints today are durable finishes that benefit much more from regular washing and waxing, says Nielsen. Quincy adds that carmakers also generally advise against waxing or sealing the paint on a new car for a period of weeks or months. VIN etching is a procedure that allows you to make an adhesive plastic stencil containing the vehicle identification number, or VIN, of your car. You then place that stencil on a window and apply a special acid solution that chemically burns, or etches, the number onto the glass. According to Allstate Insurance Co., VIN etching can be a deterrent to thieves because it not only makes it nearly impossible for them to profit from selling windows and windshields, but it also makes it more difficult to find a way to dispose of a car once it has been stolen. 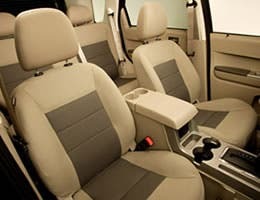 Consequently, VIN etching is recommended by police and auto insurance agencies to protect against auto theft, and a number of car insurance agencies will even offer a discount to the comprehensive portion of your car insurance, or waive your insurance deductibles,if your car is protected by VIN etching. Unfortunately, despite being a relatively simple process, VIN etching as a dealer option can cost the car buyer from $150 to $300. It’s cheaper to use a do-it-yourself kit, which runs from $20 to $40 online. As a dealer option, basic extended warranty policies for cars can start at $1,000 and easily climb to several thousand dollars for luxury and high-performance cars. 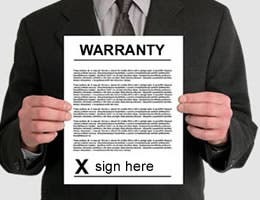 Extended warranties offer bumper-to-bumper protection covering everything on your car except components commonly replaced in routine maintenance. Plan prices vary by mileage, the term of coverage and by deductible level. 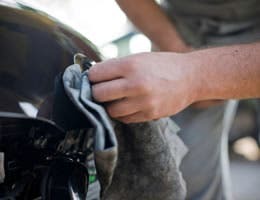 A much better alternative is to spend the money you might have otherwise applied toward the purchase of an extended warranty on the recommended maintenance that your car requires. That’s actually the best insurance you have against years of motoring troubles.